I don’t think it’s much of a stretch to call Resident Evil 4 one of the most important games of all time. From Gears of War to Uncharted and Horizon Zero Dawn, Resident Evil 4 has influenced the core design of shooters, action games, and open world games for multiple console generations. Unlike most influential games, such as the original Resident Evil and Super Mario Bros., however, Resident Evil 4 continues to teach games of all genres and sizes. Even today, it is influencing the core mechanics and flow of games like 2018’s God of War, and even the recent Resident Evil 2 remake. After 14 years on the market, it somehow feels like there’s so much more to learn from Resident Evil 4. Until recently, one of my great shames as a horror fan was that I never completed Resident Evil 4. Like many I knew, I had bought and played the game multiple times on multiple platforms, but had never stayed past the excellent opening hours. In anticipation of Resident Evil 2‘s remake, I resolved to finally sit down and see Leon’s Spanish-countryside adventure through to its conclusion. The game holds up incredibly well. While aiming can be stiff and takes some time to get used to, the enemy design allows for clumsy navigation by pausing between attacks and using long windup animations meant to inform the player of what’s coming next. In motion, Resident Evil 4 might not look particularly cinematic or smooth by modern standards, but every bit of its design contributes to a well-considered vision that, in addition to needing awkward controls, relies on enemy design and environment design. More than anything, I was impressed by how seamlessly every element of Resident Evil 4‘s gameplay works together. Almost every action game has some element of enemy and environment design in its makeup, but few are as good at combining the two as Resident Evil 4. Environments throughout the game, while plotted on a linear path, are rife with depth. Most buildings can be entered and feature fully-decorated interiors that beckon exploration, offering rewards for attentive players. Beyond their exploratory functionality, almost all of Resident Evil 4‘s environments mesh with how its enemies are designed. The two best examples occur in the village at the beginning of the game, and with the fearsome Regenerators lurking in the Resident Evil 4’s later chapters. Resident Evil 4‘s village opening sequence is legendary; it is a masterful work of tension that throws the player headfirst into the fire and forces adaptation to survive. While basic enemies are prominently featured, the player, at this point in their experience, is still relatively new to game and isn’t expected to be familiar with RE4’s deeper mechanics. For most players, this creates a sense of tension, which leads to experimentation. In the beginning of the encounter, players fall back into a two-story house as the violent “Ganados” descend from all sides. Players can block the door, but it quickly becomes apparent that they won’t last long with their current ammo. This leads to exploring and (hopefully) finding the obviously placed shotgun and ammo lying about. But by the time they find and equip their new tools, enemies have broken into the house, likely from multiple points. This is the first time Resident Evil 4‘s enemies and environments begin to work in concert, giving the player numerous options to approach their situation, but no guarantee for safety in any outcome. Inevitably, the player is funneled outside, and soon comes into contact with a heavier-set chainsaw-wielding Ganado chasing them with the crowd of villagers. The village itself plays a major role in this encounter, hiding enemies from players sightlines, but still requiring exploration for ammo and items needed to survive. The Ganados are constantly encroaching on the player, forcing them to keep moving through each building while desperately searching for a place to stand their ground. The chainsaw Ganado is especially important here. Telegraphed to the player as a very dangerous enemy, he should naturally become a focal point of the player’s attacks. Yet by focusing on just one enemy, the player must also be careful not to get overwhelmed by the other villagers, leading once more into the cycle of moving through the environment to survive what’s in it. Other shooters and action games of the same era didn’t take this approach, and few games have since. Most games put enemies in front of the player and a goal behind those enemies, and expect players to reach the other side. By removing any stated goal and leaving the player disoriented in a maze of murderous villagers, Resident Evil 4 creates tension, despite utilizing many of the same design elements common in other action games at the time, like alternating between open and closed spaces. This isn’t the only trick Resident Evil 4 has up its sleeve regarding enemies and environments, as demonstrated by Leon’s late-game encounters with the sinister Regenerators. 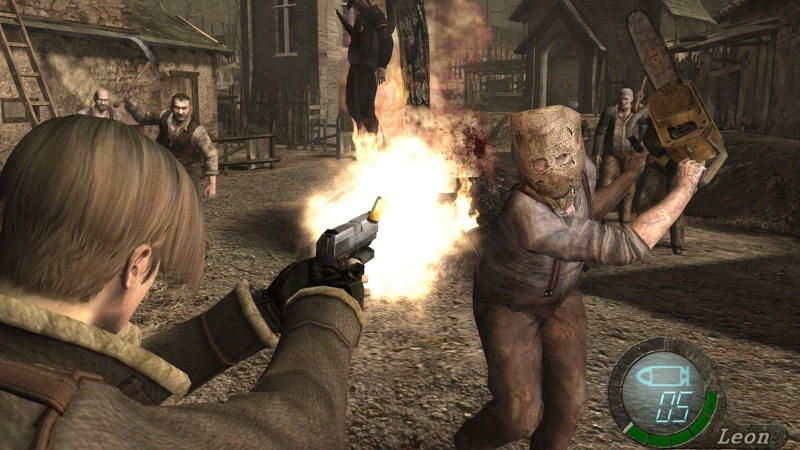 After so many fights, Resident Evil 4 begins to lean more on its action elements with larger firefights and over-the-top setpieces. 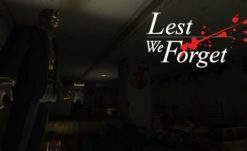 Towards the end of the game, most of the tension has bled out, giving way to player’s familiarity with the game’s controls, enemies, and environment flow. This gets thrown out the window when the Regenerators come into play. As Leon happens upon an abandoned laboratory, he finds some notes detailing a new, unseen abomination; one that’s hard to kill without proper tools, and deadly in close quarters. Soon enough, Leon meets his first Regenerator, trapped in a small room with little space to navigate, and requiring a specialized thermal scope to kill the enemy for good. While the player at this point has faced several fearsome enemies, they’ve usually been given enough room to navigate and form a strategy, or at the very least improvise with whatever weapons they have. Regenerators don’t give such an option, immediately setting Resident Evil 4‘s horror back to 11 after hours of gun-heavy gameplay. While later Regenerator encounters play with environment layout in larger arenas, the first few encounters force the player to adapt quickly, or die even faster. 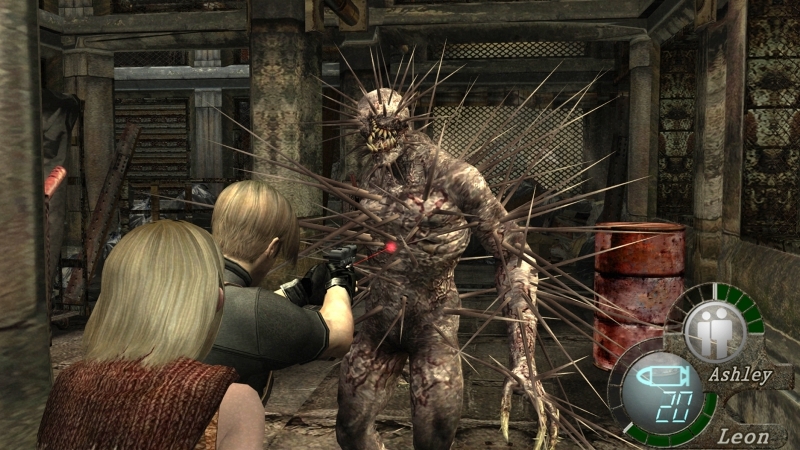 But with their slow movement speed and the crowded environments players are forced to navigate, each Regenerator presents a unique, tense challenge to the player, perfectly demonstrating why Resident Evil 4 is such a unique horror game. Infamously, Resident Evil 4 was also a major turning point for the Resident Evil series. As games like Gears of War and Uncharted, both heavily influenced by Resident Evil 4, grew in popularity and sales, Capcom began implementing features like Co-op and a focus on more over-the-top action setpieces. This trend culminated in Resident Evil 6, which sold very well but left many fans and critics feeling like the series had drifted too far from anything resembling survival horror. Resident Evil 6‘s emphasis on cover-shooting and Call of Duty-style encounter design neutered any remaining tension the series had left from Resident Evil 4, resulting in a solid game that played and looked like a dozen other titles. It’s well known by now how Capcom course-corrected the series with Resident Evil 7, modernizing classic Resident Evil staples like item boxes and puzzles with a new first-person perspective. In a way, it makes sense that they took influence from Resident Evil 4 when re-creating Resident Evil 2, combining RE4‘s knack for environment-enemy cohesion with the streamlined, though still classic, puzzle design philosophy of Resident Evil 7. The result was a game that felt modern, while still remaining true to what made Resident Evil 2 such a classic to begin with. In fact, the original Resident Evil games play more like Resident Evil 4 than most think. The series always had a heavy emphasis on navigating around enemies and choosing when and where to stand and fight. Resident Evil 4 even retains the series’s clunky item-switching interface, requiring players to pause the action to switch weapons. The only major difference between Resident Evil 4’s formula and that of preceding games was the behind-the-shoulder perspective, something perfectly shown in Resident Evil 2‘s 2019 rendition. Like Resident Evil 4, environments in Resident Evil 2 are perfectly tailored to the capabilities of the enemies, rather than the player. The player is forced to adapt and overcome, constantly propelled forward by zombies that can break through windows, enemies that can climb on the ceiling, and the fearsome Mr X. that stalks them through the campaign. 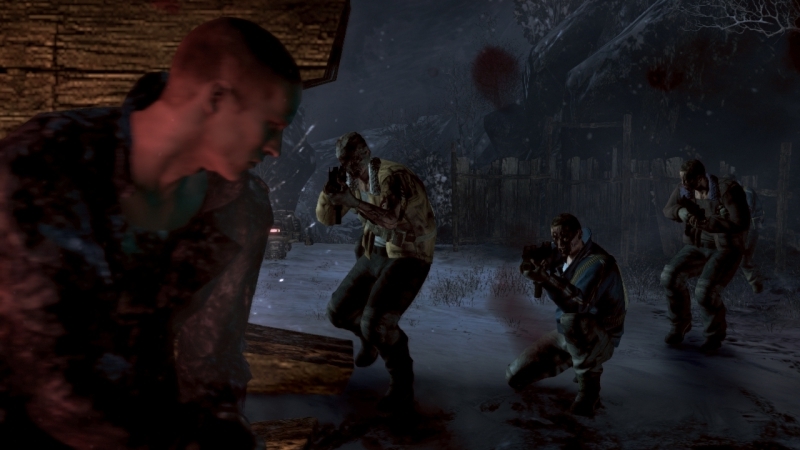 Enemies are always deadly in close quarters, and while players are given means to fight them off, they’re still forced to choose how and when. 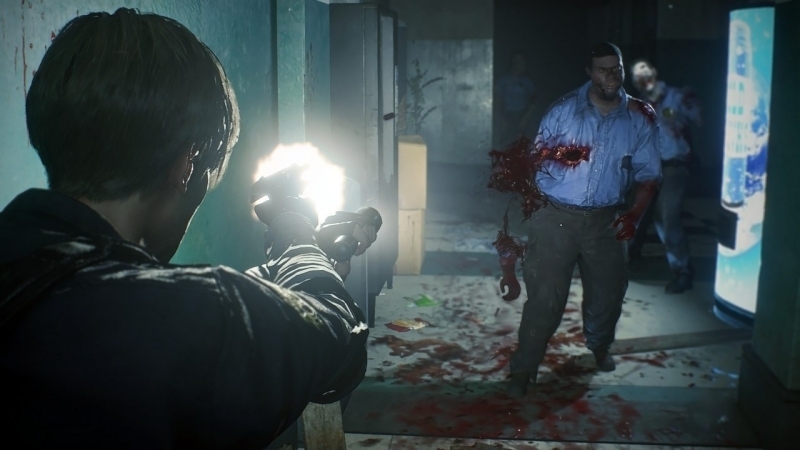 Saving a bullet and trying to run by enemies in Resident Evil 2‘s crowded hallways is a gamble that can result in players taking damage or worse. As the most lauded game in the series, and already close in gameplay style to the original games, it’s fitting that Resident Evil 4 ‘s most tension-inducing design choices would be adapted for a Resident Evil 2 remake. 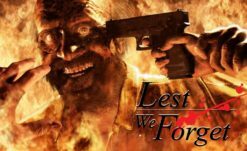 Capcom’s decision to marry the design philosophies of its original gameplay with a more modern style worked wonderfully, and resulted in one of the best horror games in years. But Resident Evil 4‘s design has more to offer than creating tension through environment navigation and enemy design; it’s also a masterclass in overall flow, as illustrated by its influence on 2018’s God of War. I can’t definitively claim that Resident Evil 4 was a major design inspiration for God of War, but looking at the similarities between the two, it’s hard to deny it likely played a role. Like Resident Evil 4, God of War took its series from pre-determined camera angles to an over-the-shoulder viewpoint. Yet unlike other character-action games like Devil May Cry or Bayonetta, God of War‘s camera is pulled in close to Kratos, looking conspicuously similar to Resident Evil 4 when aiming his axe. Navigation is also very similar. Neither game has a dedicated jump button, instead requiring their respective protagonist to use a context-specific button to navigate predetermined areas of the environment. For Kratos, that means climbing and opening massive doors, while for Leon that means mantling ledges and jumping out of windows. However, they both have a shockingly similar jump animation, whereby Kratos and Leon bound over gaps with a light prance and a heavy thud. Perhaps most similar to Resident Evil 4 is God of War‘s shop and how it works with the natural game flow. Like RE4, periodically Kratos comes across a shopkeeper of one kind or another where he can upgrade his gear, sell unwanted items and treasures, and get new items and abilities. 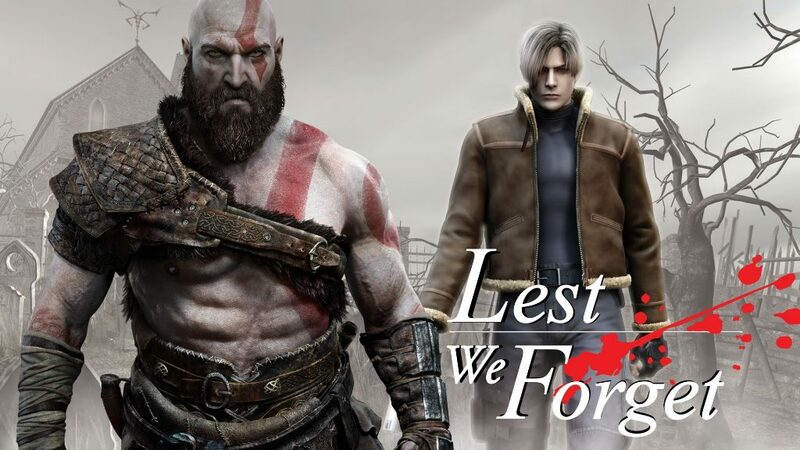 While featuring open elements, God of War is, like Resident Evil 4, a primarily linear affair, and placing these shops at opportune moments, guaranteeing a sense of player progression and accomplishment throughout. 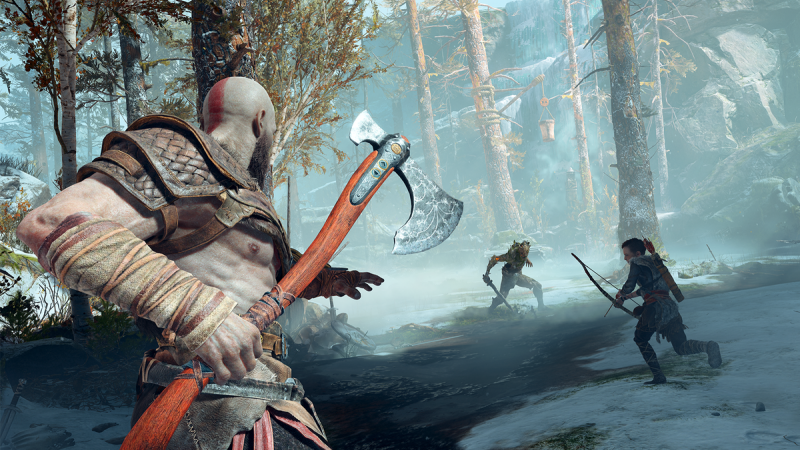 The major difference between the two games lies in how the two titles approach combat, and how God of War‘s environments accommodate player empowerment. Where Resident Evil 4 strives for tension, using its enemy archetypes and environments to turn player expectations on their head, God of War plays out in a much more standard fashion. 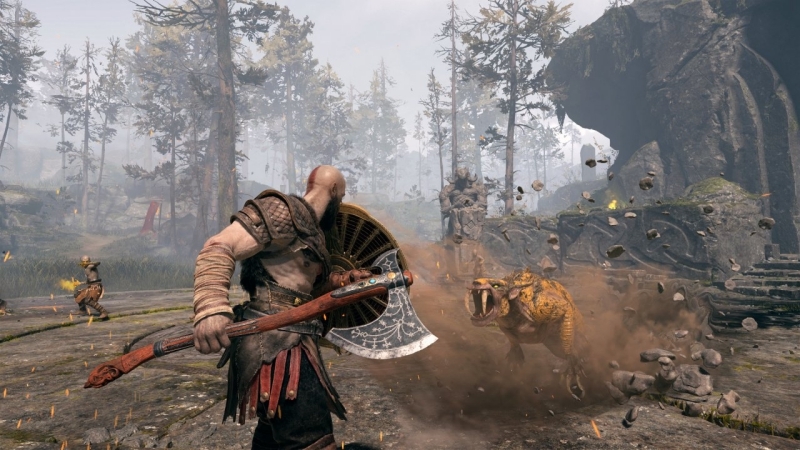 Kratos’ adventure tosses him and his son into arenas full of baddies, bosses, and other baddies with different colors. These arenas seldom have much in the way of decoration, lacking the detailed environments and navigation of Resident Evil 4. Of course, a God of War game doesn’t need those things. By giving the player room to throw enemies, axes, and punches across large spaces, God of War imparts a sense of scale that Resident Evil 4 could never accomplish. Not for lack of technical innovation between 2005 and 2018, but because that scale is so important to God of War‘s overall goal of player empowerment. Kratos isn’t meant to be threatened by the horrors of the Norse underworld, and neither is the player. Unlike the Ganados, the player is meant to work through the enemies in God of War, not around them. It’s a simplified system of gameplay, and lacks much of the memorable, tailored encounter design of Resident Evil 4. But it ultimately stays true to what God of War wants to be as a player experience. It’s not uncommon for games to take inspiration from other games, but having a piece of the experience dedicated to something unique is instrumental in that game standing apart as a cohesive work. Resident Evil 2‘s emphasis on puzzle solving makes it an update of the original, taking combat and environmental influences from Resident Evil 4, rather than being an outright clone. Likewise, God of War‘s approach to accommodating combat through environment design sets it apart, while it still looks to Resident Evil 4′s level flow and navigation for inspiration. Resident Evil 4 has influenced several generations of gaming, and if games like Resident Evil 2 and God of War are any indication, it may very well influence several more. And why not? As much as it can appear unpolished or difficult to control by modern standards, Resident Evil 4 remains unmatched in terms of level flow, combat design, and environmental depth. Even more than a decade after its release, there’s still so much to learn from how well all those pieces fit together.